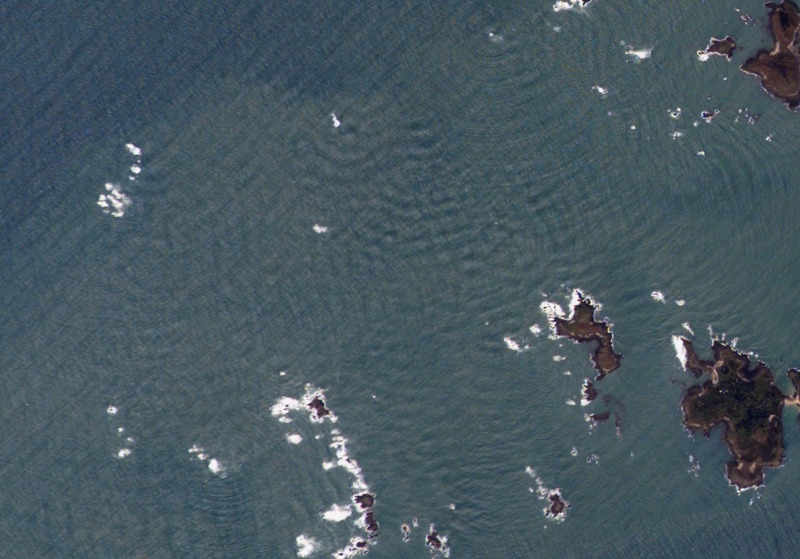 Browsing NASA’s gallery of Astronaut photography of Earth today, I came across this gem of an image of the Scilly Isles. Whilst it’s not exactly news to anyone that waves diffract, I thought it was incredibly cool to see such an impressive example of the phenomenon in nature. Doing some more digging, it seems that the crew of Apollo 7 took a similar image (frame AS7-4-1607 of Magazine N) during their mission. Sadly, it doesn’t seem like any of the frames from that magazine have been digitised. The only other references are in a scientific paper (§ 2.5 Space Photography) where the image is completely unintelligible and in a picture book digitised by the Internet Archive which doesn’t seem to be at a high enough resolution to see the pattern. In any case, one diffraction pattern is exciting enough!